Today’s a big day! 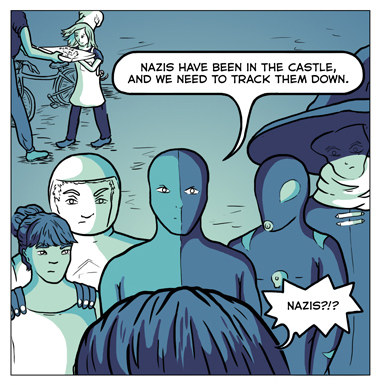 First of all, we have a new page, Page 218, featuring our heroes asking Beowulf for help with the castle’s Nazi problem, plus the return of Elizabeth the Pizza Girl. Secondly, we have . . . well, it’s important enough to have its own blog post.